The ruins of the ancient city Guyang is one kilometer south of Anhui Province’s city of Bengbu, on the south shore of Hui River. The ruins are a square earthen city. The remaining height of four side walls of the city was approximately two to three meters. The length of the city from east to west is 908 meters, and 899 meters from north to south, with the wall’s top surface being 29 meters wide, base 33 meters wide. Right outside the city is a moat, 19 meters, wide. There are four doors in the city, with each door being exactly in the middle of each side of the city wall. The orientation of the city is exactly on the north to south axis. According to historical text, this city was constructed during the first year of Emperor Gao during the West Han Dynasty, around 206 BC, and was destroyed during the first year of Emperor Xianqing of the Tang Dynasty, 656 AD. 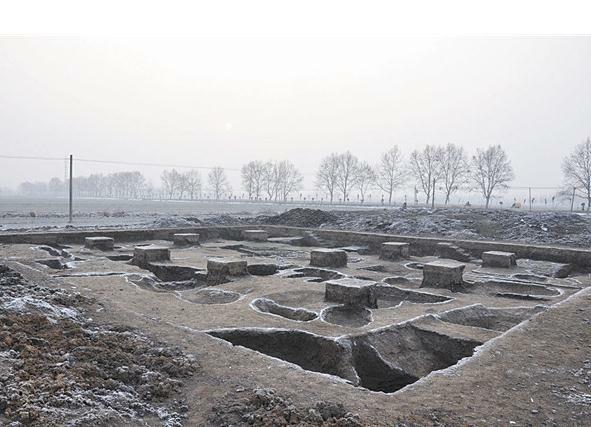 From November 2012 to January 2013, Nanjing University’s Archaeology Program explored and excavated the ruins of Guyang city, receiving great results. This excavation area is actually oriented toward the south in the middle of the northwestern portion of the city, with 30 evenly distributed 5x5 meter square units. The overall excavated area is 750 square meters. 40 ash pits, two ash ditches, four architectural foundation, two deposits, one kiln, one hearth, and three wells were exposed. The deposits of cultural layers are rich, around 1.5 meters in depth. They can be divided into 6 layers, with the most emphasis on West Han dynasty and late Warring States. The most important remains in this excavation are dated from late Warring States to early West Han dynasty, including the house foundation, well, ash pit, and smelting remains, etc..
House foundation F2 shows the tile accumulations, which caused by collapsing of east wall and post-base inside the wall toward outside, or inclining of the wall toward outside and the aproll toward the east. 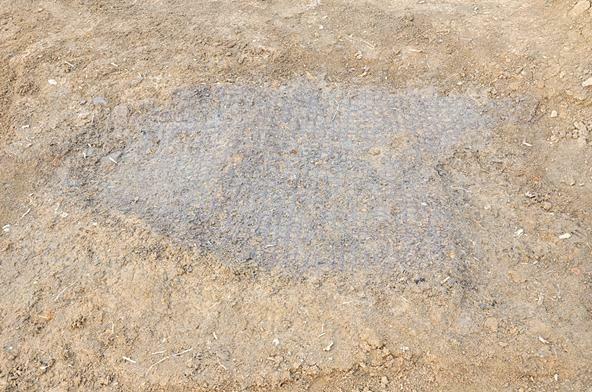 F3 is a squared shaped building with a foundation groove, with an area of about 10 square meters, the foundation groove is filled with fragments of broken tiles, and appears to have postholes. House foundation F4 is the only work shack building with postholes. Inside the shack found a kiln and mats. F3 and F4 are close to the smelting remains, which may be related to the production activities at the time. Well J1 is 4.5 meters deep. The unearthed pottery is mainly pot with high collar and folded shoulder. J2 built up ten layers of pottery walling crib, with each layers around 55 centimeters high. J3 is 4.62 meters deep, the unearthed pottery is similar to that of J1, and also has pot with high collar and folded shoulder. Also, the unearthed smelted remains include the furnace, pottery mold, stone mold, and burnt earthen, etc. The furnace was badly preserved, with only a part of the base remaining. Pottery mold and stone mold are mainly for weapon, parts of chariot and harness, and life appliances. A small amount of pottery mold for bronze ritual ware was also discovered. There are a great amount and variety of artifacts unearthed. Most of them were pottery, bronze, stone, and iron wares, etc. The type of the pottery can be seen as semi-cylindrical tile, segmental tiles, tile-end, pots, stemmed cup, urns, spinning wheels, and pottery mold, etc. The amount of tile-end is in majority, most of them are in plain, only few of them decorated with cloud pattern. The high-collared pot with folded shoulder is absolutely the same to the ones from the Guanzhong Plains of Qin Dynasty. Some pottery and tiles are imprinted or engraved with characters, identifiable by “宗” , “函”, “官” and so on. Identifiable types of bronze wares include seal, belt hook, fish hook, coins and other life appliances; arrowheads, crossbow parts, and other weapons; nails, ornament of bridle, axle-pin and other remnant parts of chariot and harness. Amongst two bronze seals are very important. 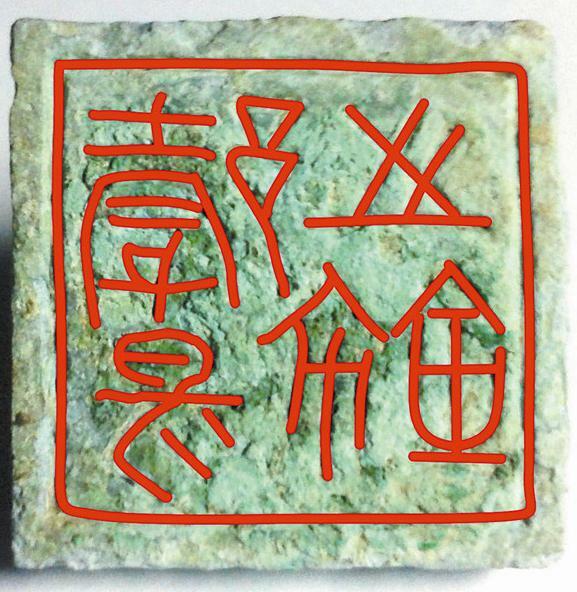 One carved “Guyizhixi” (royal seal) in square with a nose-shaped knob, and the back of the seal lift up as a raised plot, with printed area of 1.9x1.9 centimeters, 0.3 centimeters high, and a total height of 1.1 centimeters. The characters on the seal were clearly visible, beautifully casted, which is the ancient characters font of the Chu State from Warring States. Another seal is carved with “Zhuyusiyin” (Private Seal), with square shape bridge-like knob, and the printed area is 1.3x1.3 centimeters, 0.6 centimeters tall, and 1.1 centimeters tall in total. The engraved characters on the seal are very clear, casted beautifully, and script with xiaozhuan font. Much coins was unearthed, mainly there were grimace-shaped coin, wuzhu coin, banliang coin. Amongst them the wuzhu coin is very similar to the shape of the “sanguan wuzhu” unearthed in the Zhongshan Jing King Liu Sheng’s grave. 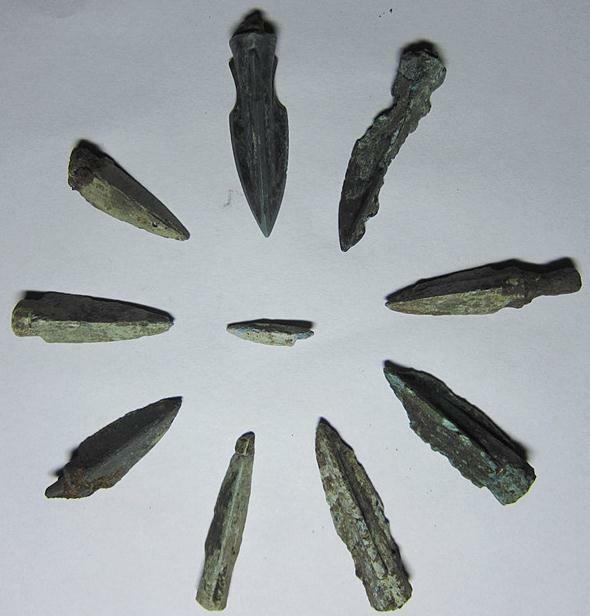 Around 200 bronze arrowheads were found, the bronze heads were pretty sharp, many of them are triangular prism in shape, few had blood grooves, with the ridge portion sharply protruding. 1. The construction of Guyang city could be dated back to late Warring States period, not began during the early West Han Dynasty as documented in ancient text. 2. Unearthed a large number of the various type weapons and chariot & harness parts, as well as pottery, stone mould, more refined slag, burnt earthen remains, and tile-end with official description characters, indicated that this area could be government-run handicraft production workshop.